I’ve got a confession to make to you all. While I am a full-fledged soccer lover, I’ve never given indoor/arena soccer or futsal much thought. I’ve always talked about getting in to it, but never followed through. 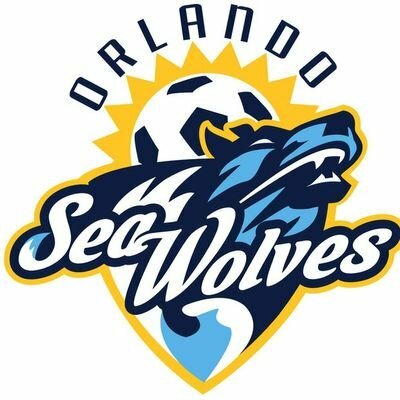 That changed once Orlando announced they were going to have an arena soccer team named the Seawolves. I made it a point to keep close tabs on their progress from the time they were announced until now. Hell, I even have made it a point to endorse the hell out of the MASL (Major Arena Soccer League) when I’ve talked with the other writers at Protagonist Soccer. Luckily, I work with a group of guys who support my decision to step outside of lower league soccer coverage to give MASL some coverage as well. Like I said, I’ve always talked about it but never actually followed through. After watching it for the first time, I can tell you that this game is a different beast, that’s an understatement. If you’ve never watched it before, think of it as a combination of soccer and hockey spread across four quarters that are slightly longer than an NBA quarter. There are line changes like in hockey in order to set up specific plays or to have a specific group on the pitch (I guess that’s what it’s called) for free kicks. There are also “sin bins” for players who commit fouls deemed worthy of a “blue card.” This essentially is the penalty and power play system from the NHL and college hockey. There are also “board passes” like in hockey since arena soccer is played in a dry, carpeted hockey rink. In addition to all of this, there are rules that differ radically from the outdoor game, but these rule changes actually make it more enjoyable. There is no offside rule, which allows for what could be deemed “cherry picking” and helps drive up the scores of these games. In addition to that, the goalie can’t kick the ball past the three lines on the carpet without being whistled for a foul. Free kicks also vary wildly compared to the outdoor game. Sometimes, they’re taken from the “top of the D” or other times they are taken from the spot of the foul. It really depends on the ref’s decision and the location of the foul when it was committed. In MASL, there are no ties either. This means that teams play a 10-minute overtime period where golden goal rules apply, but then move to a best of 3 shootout should nothing happen in the overtime period. While these are some of the rules that I came in contact with during my first match, there are plenty of other rules that I recommend reading up on while watching a game. That way you aren’t confused when something happens or you’re able to at least understand why a decision was made a certain way. As for the match I watched, I got to see the Orlando Seawolves first game in their history against the St Louis Ambush. For most Orlando City fans, there is a connection between the USL days and the Seawolves with Lewis Neal and Luke Boden signed to the arena side. Additionally, America Soccer Club fans should be interested in this team, as a few of their players (one of which also played for Orlando City B) also play with the arena side. I previously got to meet Tyler Turner when I visited an America practice, but it was also good to see Rafa Tobias playing for the Seawolves. The Seawolves battled all match long and had to come from behind twice to tie the game. Ultimately, they went in to overtime tied at 4, but then lost in a shootout 2-1. Luke Boden and Lewis Neal obviously missed scoring in front of the Orlando faithful because they both opened their seasonal accounts in the match. In addition to this, Boden also had two assists in the game. While the crowd was small, they made plenty of noise for the home side, especially when the two former OCSC boys scored. Crowds should eventually grow as the season moves along and more coverage is put out about the Wolves. The exhilaration and angst of watching the match was almost on par with watching my favorite outdoor teams play on the weekends. So, if you’re looking for something that gives you that same feeling of lower league soccer or MLS/USL, find your local arena soccer team and get out to their games. I promise you won’t be disappointed.